Not long after Christmas, whilst Lee was still on his Christmas break we took advantage of a day whilst Imogen was at nursery to have a day in Birmingham, starting with a trip to the Electric to see Mary Poppins Returns (FABULOUS by the way) I was worried it wouldn't be but they really did it justice. We ended the day with some sales shopping but sandwiched in the middle we decided to pop in to Pint Shop for some lunch. 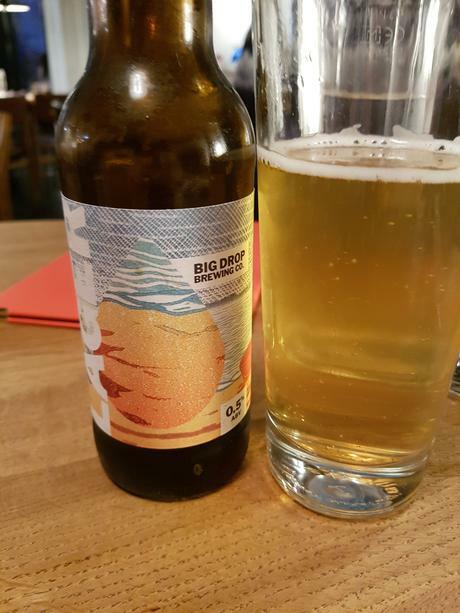 Lee is always up for trying a few new beers, and the selection here was great with the staff knowledgable and willing to help you choose. They even had this delightful non-alcoholic offering for me to try, as i was on driving duty. 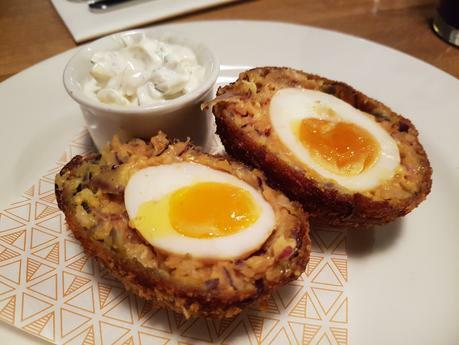 I'd heard much about their Onion Bhaji & Pork Scotch Egg with Mango Raita so was glad that it didn't disappoint! 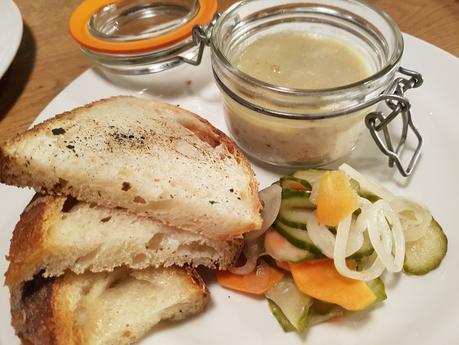 We also shared the Potted Mackerel, Pickled Vegetables, Toasted Sourdough which really hit the spot as well, although there's never enough bread with these types of dishes! 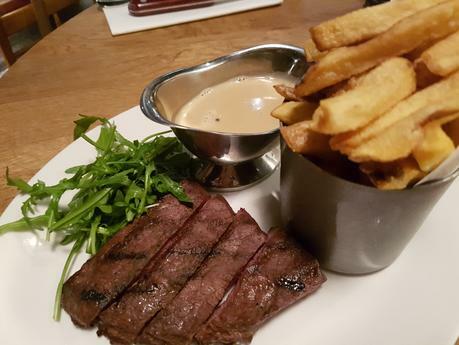 Lee went for a Dry Aged Flat Iron Steak Green Peppercorn & Garlic Sauce & Chips for his main, the steak was perfectly cooked (but why do people serve them already sliced?) and the chips really good too, but he found the sauce a bit on the watery side. 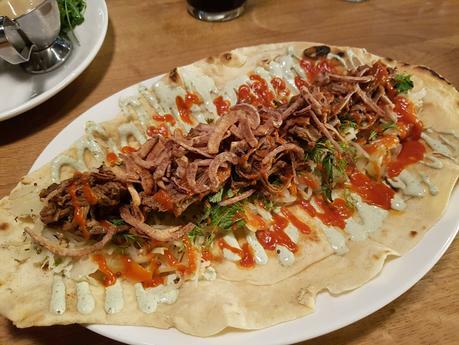 I was really drawn in by the sound of the kebabs so had to go for one of those, desperately hoping it was going to be a posh version of a kebab shop rather that one of the naff hanging kebab jobs. I was in luck as this Blackened Brisket & Crispy Onions version was delicious! The concept reminded me a lot of Pure Bar, and I'm not sure I could call one above the other, but if you're looking for craft beer AND great food then this is one for you!